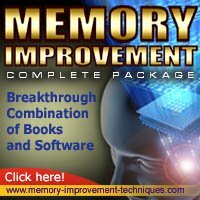 Alzheimers Medication - Does it help? Not every drug works the same way on one person as it does on another. This is true for individuals suffering from Alzheimers disease, which is a common form of dementia that elderly, and even younger adults, are afflicted with. Reactions to dementia medications vary from individual to individual. Presently, the Food and Drug Administration (FDA) has approved two types of memory loss medication for the treatment of Alzheimers,according to the Mayo Clinic. These medicines include cholinesterase inhibitors and memantine. Sometimes a physician will prescribe both drugs because each drug works in a different area of the brain's chemical messaging systems. Alzheimers medication is given when an individual has been assessed by a physician and determined to be in either the mild, moderate or severe stage of Alzheimers, which is determined by how well or poorly the patient performs on mental-function tests that gauge thinking, reasoning and grasp of place and time. The National Institute on Aging explains that patients suffering from mild to moderate Alzheimers are likely to be prescribed cholinesterase inhibitors because this medication appears to ward off the worsening off symptoms for a period and may help manage behavioral symptoms. The specific names of the drugs given to those in the mild to moderate stage of Alzheimers include Exelon, Razadyne, and Aricept.The side effects of cholinesterase inhibitors include loss of appetite, diarrhea, weight loss, nausea and vomiting and muscle weakness. The side effects of taking Memantine (Namenda) include constipation, headache, confusion and dizziness.For those afflicted with moderate to severe Alzheimers, physicians often prescribe Namenda (memantine), which is in the NMDA category or N-methyl D-aspartate antagonist, which stalls progression of symptoms. In fact, those patients taking Namenda are frequently able to function independently for a longer period of time than those who are not given this drug. When a patient starts taking medication for Alzheimers, his physician is likely to put him on a low dose of the drug of choice to see how well he does on the medication. If the patient can tolerate the Alzheimers medication, he may be put on a higher dosage. Patients often do better on higher dosages of cholinesterase inhibitors, although there is an increased risk of side effects when the dosage is raised. Some trial and error may be required before the ideal drug, and dosage is determined. Do not hesitate to discuss with your physician your concerns about yourself or a loved one who is exhibiting signs of Alzheimers. A well-informed patient or caretaker has a better chance of successfully managing the obstacles that are a part of Alzheimers. What about Vitamins for Memory?